Orange might or might not be the new black, but Netflix is surely the new entertainment. Streamers from around the world use Netflix every day to watch their favorite TV shows and movies. Netflix is extremely popular due to the quality and convenience it provides. However, even though it offers a lot, there is still a lot more that you can do on Netflix to make your streaming experience much better. Here are 15 Netflix tips, tricks, and hacks to spice up your streaming life. Netflix may have a very good search option, allowing you to look up titles that exactly match your search query, and also get other relevant options in the search results. However, if you want to add filters to your search, you cannot do that directly. Under the hood, Netflix organizes and categorizes its content in a very efficient manner. However, it seems that Netflix doesn’t display any advanced search option, so as to not confuse the streamers. That being said, if you consider yourself an advanced user, this tip is totally for you. With genre codes, you can browse movies and TV shows that fall in the exact category you love. Using genre codes will help you save time and find content that’s more relevant to your taste. Titles just appear on Netflix according to what you may have seen in the past. There is little to judge about how they would turn out to be, as there are no IMDB ratings or rotten tomatoes available for them. With this Netflix addon, things become very easy and manageable. 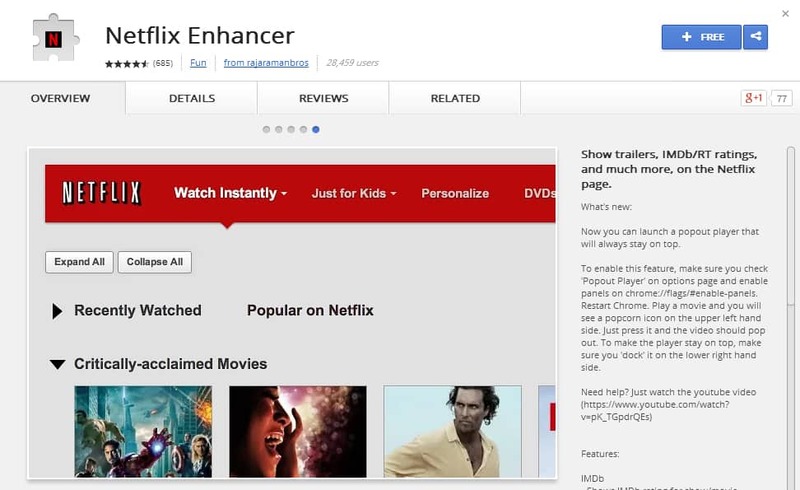 Once you install this add-on, Netflix will take on a new avatar in your browser. Against every title that appears on Netflix, you will be able to see IMDB ratings, reviews, and a link to the trailer just by hovering the mouse over the title. This added functionality will help you make the right choice every time you want to watch a new show or a movie. This is by far the most productive and efficient add-on for Netflix. Think of it as a pinwheel where a title is selected for you based on your choices and preferences. You can pre-decide what genre, actor, or director you are interested in and this extension will display all the titles that match your defined preferences. There are many ways you can use this add-on. Just add one filter, or maybe add no filter at all and let the add-on make the decisions for you. It is a great time-saving tool when you run out of things to watch and are looking for something new. What about the great times when you would go out with your friends to a cinema and watch the latest movie? Or what about the overnight plans that you used to make with your friends to watch a ton of videos together? You can still do that on Netflix. 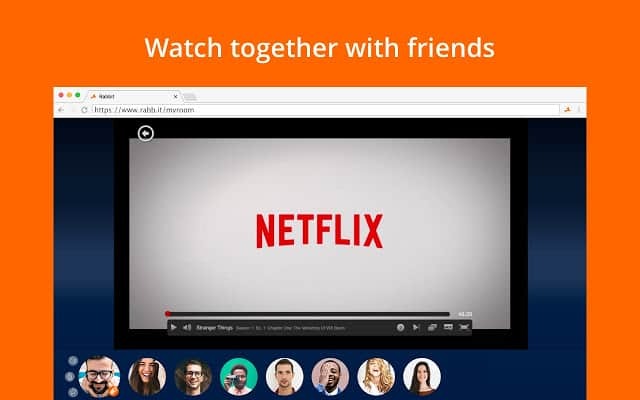 With Rabbit, you can sync your viewing session with any of your friends and watch your favorite TV shows together. A great thing about this extension is its chat feature, which allows you to communicate with your friends while you all binge watch together. Netflix Bible is one of the sleekest chrome extensions for Netflix. It improves the default Netflix search by an unimaginable extent. On Netflix, the default search only allows you to search by title. However, with this chrome extension, you can search by year of release, director, actors, genre, and many other filters. If you are interested in the work of a particular director that you like, or if you feel like getting flattered by watching the same actor do his thing to amaze you every time, Netflix Bible will do everything for you and then some. If you watch Netflix before you go to bed, chances are that you are already having neck pains. It’s a misery to watch a TV show on your laptop while you are lying on your bed. With this extension, you can flip your screen clockwise or anti-clockwise, and watch your TV show in peace while you lie down on your side. Netflix has thousands of titles on its libraries. However, these TV shows and Movies are not available in every region. In fact, the TV shows and movies that you are getting access to, are just half of what Netflix has in its library. When you visit the US library of Netflix, you will be able to access thousands of other TV shows and movies which were previously blocked in your region. To access Netflix US, you will need a VPN such as PureVPN. Click here for a detailed guide on how to access US Netflix. No extra tweeks or extensions are required for this one, it’s an option available by default on the Netflix app. On your smartphone or your tablet, you can download the upcoming episodes for the TV show that you are binge-watching these days. The idea is to help you keep watching what you love while on the go, without using up all of your data. When you download an episode, it becomes accessible from within the Netflix app, even if you are not connected to the internet. To download any episode, just go to the episode que for any TV show and hit the download button against each episode. You know what these are already. Learn the ones you need the most. The best suggestion that anyone can give you is to subscribe to a good streaming VPN, such as PureVPN, that can provide you the ultimate streaming experience. There are many ways PureVPN can help you get the most from your existing Netflix subscription. With PureVPN, you can change your IP address and unlock access to the entire library of content. Once you have changed your IP address, you can easily access Netflix US and any other content that is blocked in your region. You can also enjoy the best possible streaming speeds based on your internet connection and break free from speed throttling issues. It’s annoying to have irrelevant titles show up on the “continue watching” que, just because you mistakenly clicked on them once. You may call it a shortcoming of some sort, that Netflix doesn’t remove such titles from your que on its own. If you want to get rid of such titles, you can do so manually. There are 2 different types of parental controls that you can set on your Netflix account. You can choose if you want the parental controls to be implemented across your entire account, or if you just want the controls on one of your account profiles. For instance, if you have a separate profile for your children, you can set parental controls on that profile only. This will filter content on your child’s feed, but not on your feed. You can also choose the level of content maturity. There are 4 levels of content maturity as described by Netflix. All, kids, teens, and adults. If you set parental controls as kids, the content marked for teens and adults will become unavailable. Parental control settings can be accessed from Netflix settings. 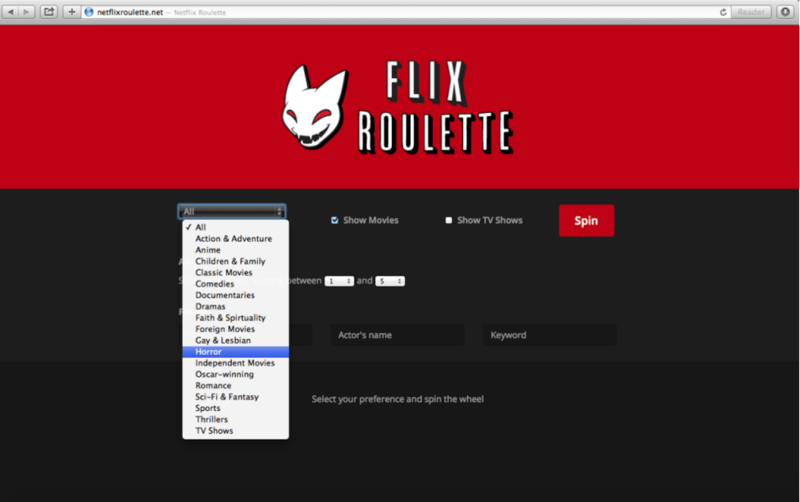 As the name suggests, Skipflix: Auto Skip Netflix Intro is a Chrome extension that allows you to skip intro of every episode, every time, without the need to click on the option every time. When you are binge-watching, it can get annoying to hit the skip intro button every time you start watching a new episode. Netflix has a secret menu, which allows you to partially control the amount of buffering that happens on your Netflix streaming device. To access this hit Shift+Alt+Left Click (Shift+Option+Click on a Mac), and you will be automatically directed to this secret menu. Is your Netflix acting weird? Are you noticing content in the continue watching que, even though you didn’t watch it? Are you getting emails from Netflix about a new sign in, even though you didn’t? If that is the case, your Netflix account is being used by someone without your permission. In such a situation, it is advisable to go to Netflix settings and choose to sign out of all your devices. Once done, change your password, and then log in again with your new password.